In every corner of the nation Arrow Trading has been seen for many decades. The company, powered by Jan Martin Pijl (Oom Jannie), and his team set out quite a unique way of doing business for the collision repair industry. History tells us that Jan came to South Africa in the 70s trained as a motor mechanical supervisor. While holidaying from Holland he enjoyed the endless sunshine so much, he packed his bag, threw away the clogs and emigrated for a better life. Touching down at Jan Smuts revealed that the promised job offer was off. This saw him trundling off to live in Hillbrow – which was very cosmopolitan then. Armed with an inability to speak English and surrounded by a new fascinating African culture, didn’t help in the employment stakes either. The struggle to find gainful employment took up two full months of his time and after hours of harmless fun trying to learn English from a CNA purchased tape recorder, Jan eventually got a supervisor offer from Forsdicks in Pretoria. Eventually Jan hit on a new technology that he had seen demonstrated in Europe. It was the Araldite cold cure bonding process. This brilliant new method of bonding bonnets, roof parts and chassis parts was then in its infancy and having enjoyed some demonstrations with local body shops, Jan bought a Toyota, an ugly 1300 truckling, and started travelling the nation. The vehicle had no heater and in the winter he nearly froze to death trying to launch Arrow Trading. Fast forward to today. 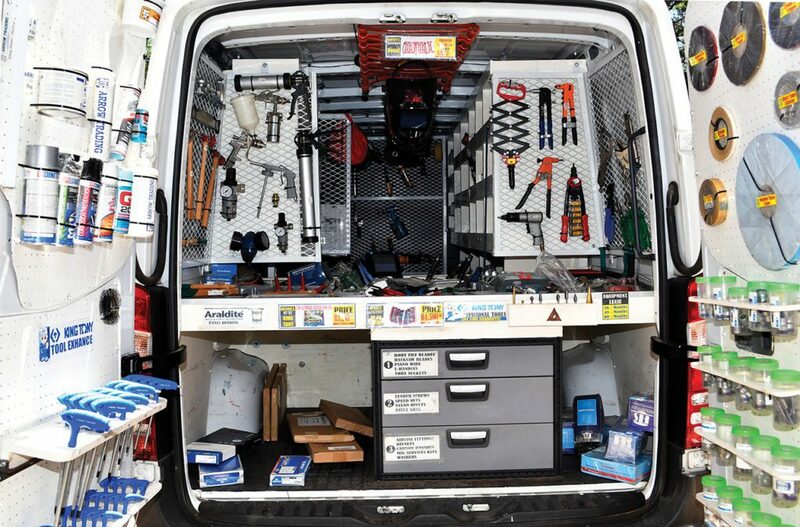 The company operates a fleet of Mercedes-Benz Sprinter trucks that are fully loaded with every conceivable device, from an approved welder to the latest air sealant seam sealer systems. Arrow Trading has it all in their show demo vehicles. Now in his mid-seventies Jan takes things in a more sedate manner with a full complement of 10 people manning the operation everyday. Hendry Hendricks, his business partner and Andre Williams have taken up the national travelling duties to assist him. 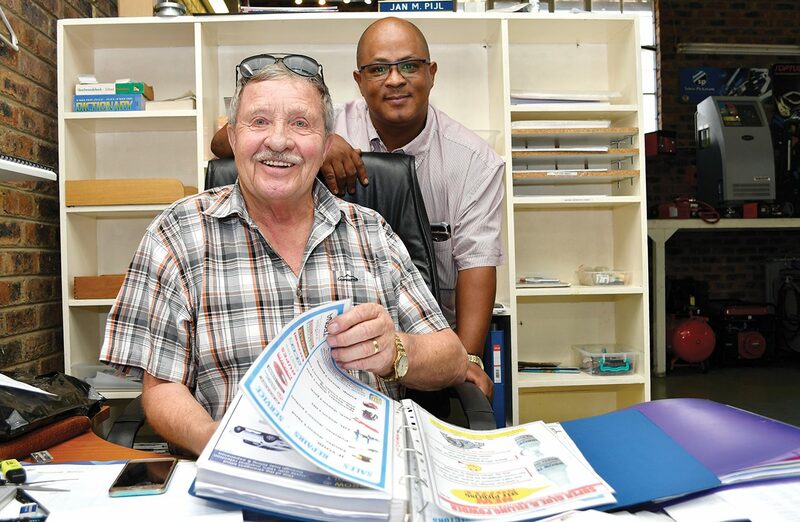 Such is his success that the first customer from all those years ago in Richards Bay still remains one of his clients. “I’m now dealing with second and third generation owners and managers all over the country. 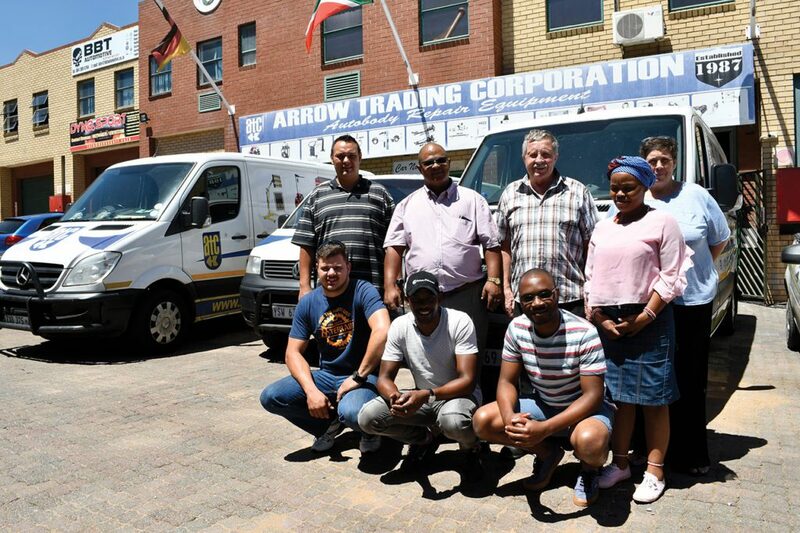 The biggest difference that the Arrow Trading business offers is very good back-up training and service for the products that we sell,” says Jan. Looking back on his life’s vocational activities Jan says that he has many great memories and he has also made a lot of enduring friendships. By taking his mechanical enthusiasm and channelling it into body shop training and upliftment, some deals got away like normal, but he knows that the Arrow Trading operation has made a real difference in rural body repair shops. “We have never stopped calling on them regardless of their size or product orders. The common pattern in all this is the national customer base we enjoy remains very loyal to the company because literally, we are always able to travel that extra mile to retain their business,” concluded Jan.